For all its inconsistencies, public transportation does offer a certain set of constants. For example, depending on his or her commute, the average New Yorker will hear the same voice utter the same line at least a few times a day. The man behind one of the most recognizable announcements in the city is Charlie Pellet. 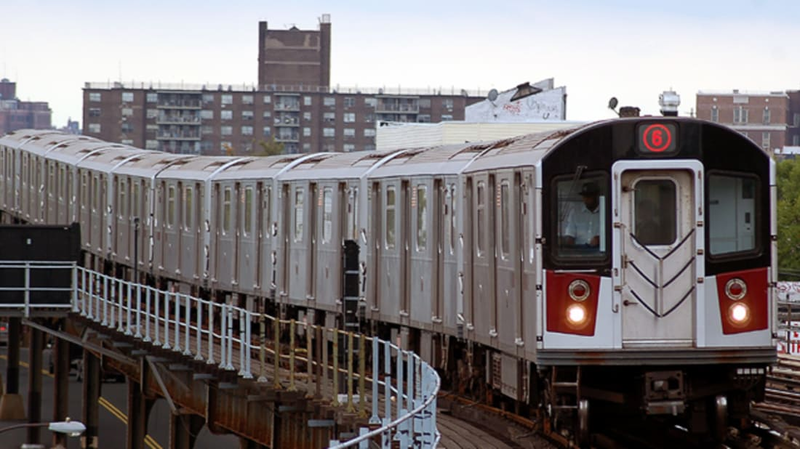 He’s been the voice of the NYC subway system for more than a decade, ever since the most recent line of cars—the R142A series—came onto the scene in 1999. Pellet was born in London and was teased for his accent when he moved stateside. He sought to rid himself of it by listening to the radio and not only achieved the American accent, but ended up working in radio as an anchor for Bloomberg News. Years ago when the M.T.A. was looking to improve the quality of its subway announcements, Pellet was one of many who auditioned to help out. The volunteer gig is the only non-reporting voice work he’s ever done. The New Yorker recently posted a short piece from filmmaker Andrew David Watson featuring Pellet. For those who hear his announcements several times a day, it’s quite eerie to see Pellet deliver the lines, and totally delightful to meet the charming guy behind the voice. As for the not-so-pleasant recordings announcing delays, Pellet says he sympathizes with those who might wring their hands at his disembodied identity, and says he’s probably sitting in the same car feeling the same frustrations.